← Mental or Dental, I Say It’s Spinach! 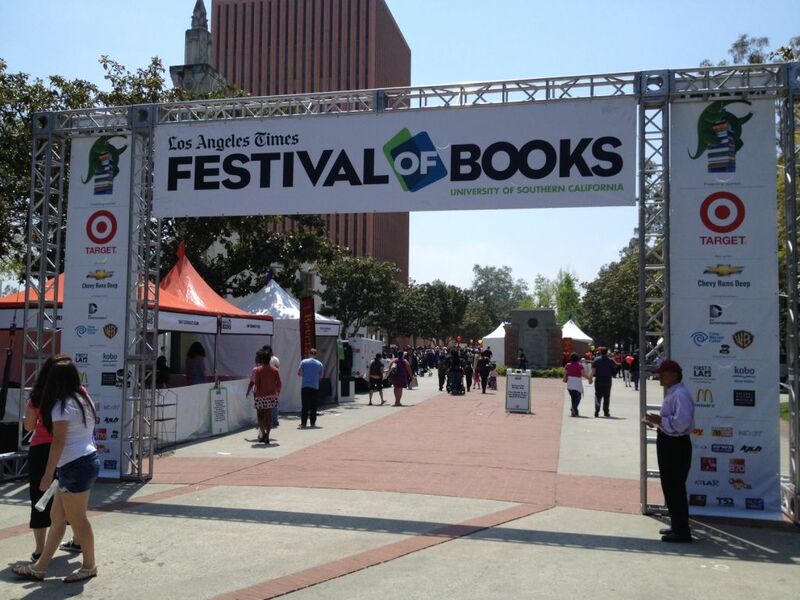 I used to go every year to the Los Angeles Times Book Festival, back when it was held on the nearby UCLA Campus. Then I went to the first festival at USC and decided that they didn’t know how to handle it right. For one thing, they haven’t yet realized that the temperature that far inland is generally ten degrees warmer; and the need for shade correspondingly greater. This year, things were better—but I still wish it moved back to UCLA. Some of the prices were great, others were at the publisher’s suggested price. No matter: I plan to read them all, and will probably enjoy them all. Fortunately the temperature wasn’t too hot today, and we didn’t make the mistake of driving. It cost us only 35¢ each to take the Expo Line train, which let us off right at the back gate of the festival. Else, I would have had to pay $15.00 and walk several blocks each way. This entry was posted in personal, reading and tagged book-fairs, usc. Bookmark the permalink.